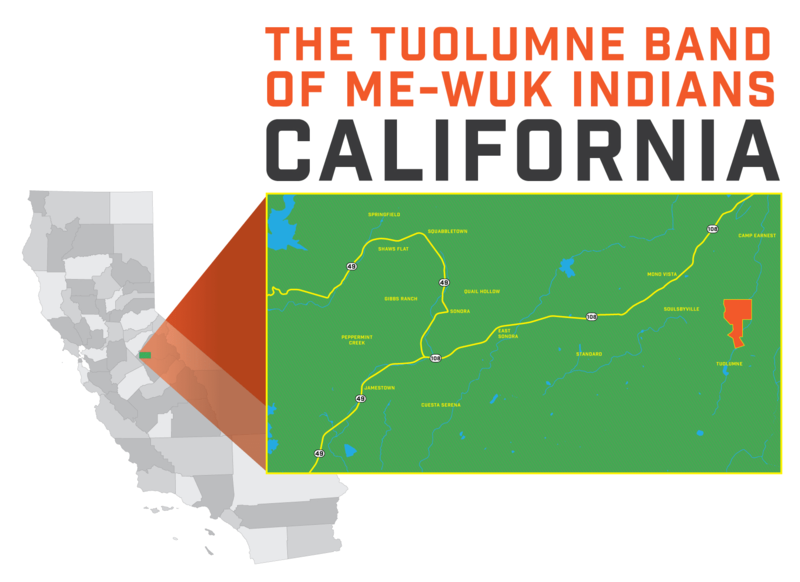 The Tuolumne Band of Me-Wuk Indians is headquartered in Tuolumne, California and manages over 2,000 acres of Trust and Fee land. 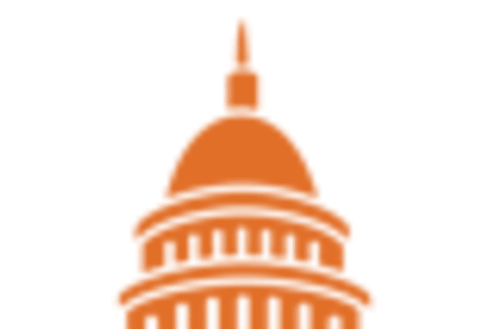 The tribe has a current enrollment of approximately 500 members and is governed by a democratic government. The Tuolumne Band of Me-Wuk Indians is governed by a democratic government and led by a legislative body known as the Community Council. The council consists of all eligible voting members of the tribe who live within the borders of the Tuolumne Rancheria. Executive authority is vested in a chairman, vice-chairman, secretary, and treasurer. The four officers are elected annually by the Community Council and oversee and supervise tribal enterprises, businesses, and services. Committees and commissions of the Community Council advise the programs and services provided to tribal members. 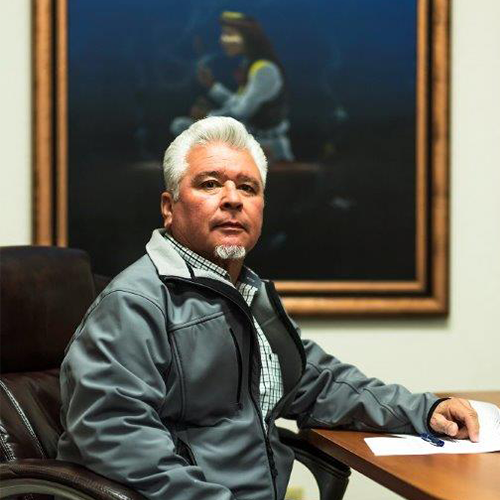 The Tuolumne Band of Me-Wuk Indians owns enterprises in gaming, hospitality, food service, fuel service, agriculture, health and dental care. Black Oak Casino Resort is located at the foot of the Sierra Nevada Mountains and on the edge of the Stanislaus National Forest. The resort features over 1,300 slots and 26 table gaming options, nine bars and restaurants, a 24-lane Brunswick bowling center and arcade. Black Oak Casino Resort Hotel features 148 luxury rooms and suites, with a hotel conference center, fitness center, and outdoor pool variety that provides a premier level of comfort and style. Find everything you need to feel right at home among the beautiful surroundings of the Sierras. Bear Creek Station and Convenience Store is located adjacent to the casino and hotel. The station has 12 gas and diesel propane fueling points, a RV dump station, and a Burrito Kiosk inside the convenience store. The Me-Wuk Indians originate in the foothills of the Sierra Nevada Mountains in present-day California and speak Me-Wuk, an Utian language. The first known encounter with Europeans occurred in the early nineteenth century when Spanish explorers reached further inland territories. After California joined the United States in the mid-nineteenth century, the discovery of gold in the new state prompted extensive immigration to the region. The influx of settlers invading Me-Wuk territory altered the environment and led to a complete breakdown of indigenous life-systems. Diseases, the destruction of traditional food sources from the exploitation of natural resources, and systematic ethnic cleansing by the new settlers all contributed to the devastation of the Me-Wuk way of life. Before the arrival of American settlers, the Me-Wuk population numbered approximately 10,000; by 1910, the Me-Wuk population numbered only 679. Despite the devastation wrought by American settlers and federal policy, the Me-Wuk preserves their culture through the annual Acorn Festival which dates back to 1966, and through language revitalization.